← LOVE is in the air. I woke up in panic this morning. I had this dream that I was back in college?! It hasn’t been that long since I graduated. As a matter of fact, it’s only been about four years. College wasn’t a bad experience or anything; actually, it was an opportunity of a lifetime, which I’m very thankful for. I think the long nights of studying, dreading essays and tests, and listening to boring lectures were the worst part. Anyway, I seriously had this dream. 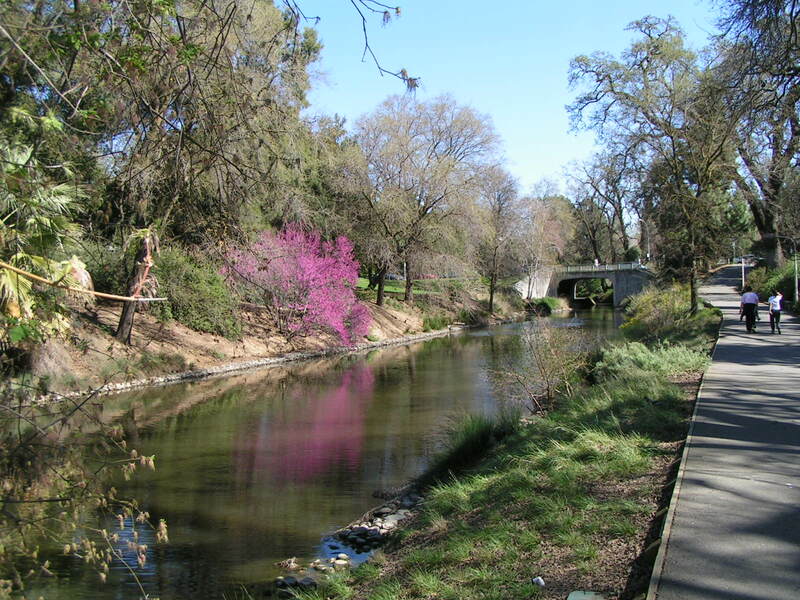 I’ll add REAL pictures of UC Davis (where I went to college) to prevent boredom. The Arboretum is actually really pretty. I hate the ducks though. Sarah rushed down the hallways trying to find Room 3012A. It was her first time in the building, and it was set up like a maze. Doors led to other hallways, and hallways led to other doors. She looked down at her watch, and it was only two minutes until lecture started. She had already missed the first lecture. She couldn’t afford to miss another one for fear that the Professor would drop her from the enrolled list. 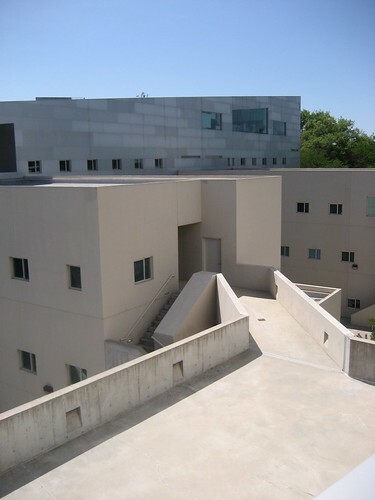 The social sciences building -- also known as the "Deathstar". As she walked down the steps towards the front, everyone stared at her late arrival. The Professor, however, did not seem to notice the late entry. Sarah looked completely confused. She did not have the chance to pick up the book beforehand, so she looked around at her fellow students. Everyone took out a CRAFTY book. Attached to the book was a box of beads and scrapbooking supplies. The Professor noticed that Sarah was not prepared, and she started to scream at her unpreparedness. Can you believe that dream?! I wonder what my head is trying to tell me!? Yikes! I think this dream might top that dream I had about Nikki hosting a BBQ and colorful wigs get together! 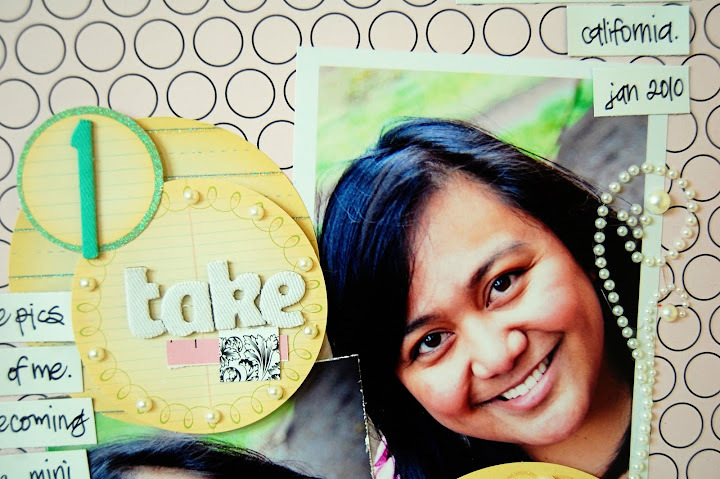 This first layout I created was for my dear friend, Katrina. Not too long ago, we swapped pictures, and I was so honored to make a layout about her adorable dogs. I hope you like it, Katrina. 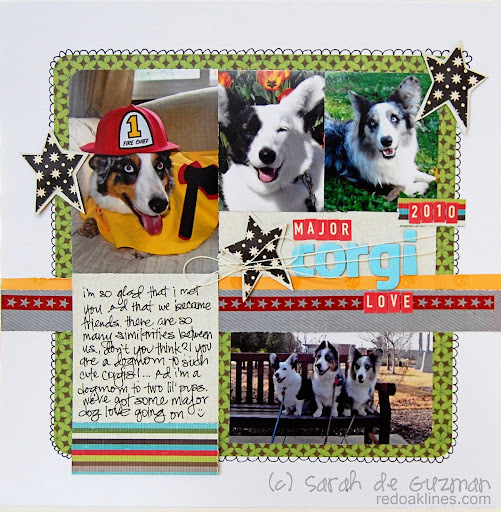 I used the current sketch over at Scrapbook Challenges to create this layout. I tried to challenge myself in this second layout. I tried to design something I normally would not make. I’m still not exactly sure how I feel about how it turned out; I think I went too pearl happy on this one. The pink papers are from CHA – thank you, Teresa Collins. On another note, the dogs and I spent some time outside today. We decided to get some fresh air because the forecast predicts more rain. The weather was GORGEOUS today. "I love this weather because I get to play outside!" 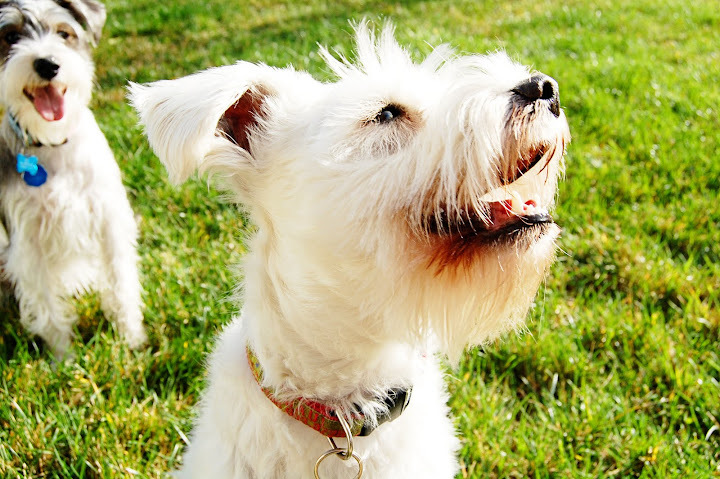 "Barking our love to you from across the country!" "We're little showoffs, and we know it!" "Woofity woof. Woofity woof!" - That's Maui's song (Hilo's the backup singer). We enjoyed our garden on a sunny day! "My birthday is on Friday?! Do I get presents?!" The craziest, but sweetest dog, you will ever meet. I hope you enjoyed those pictures as much as I did. Keep your fingers crossed that I don’t have another weird dream tonight! WOW! Now we all know that isnt a true dream! You just posted some crafty layouts there! I love your lo using the sketch from Scrapbook Challenges! GO AGGIES!!!!!!!!!! UC Davis alum unite! Department of Psychology Class of 2003! Okay, that was an awesome dream for me, please have more and share like this, I laughed pretty hard. 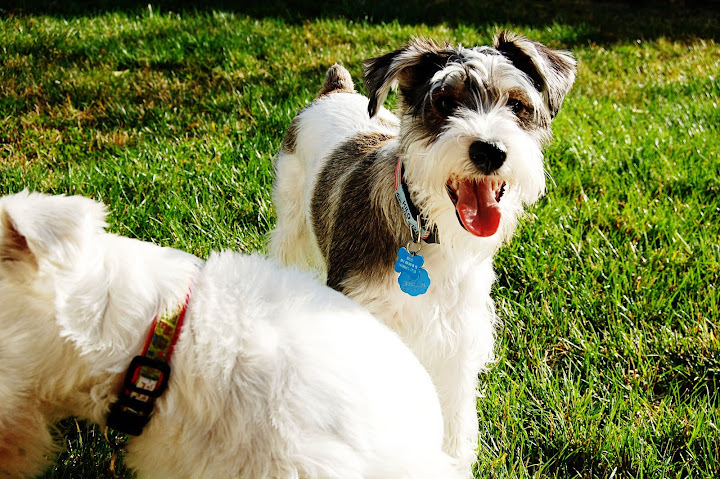 LOVE the pictures of my FAVORITEST DOGS!!! 🙂 🙂 🙂 and what gorgeous layouts my dear!! 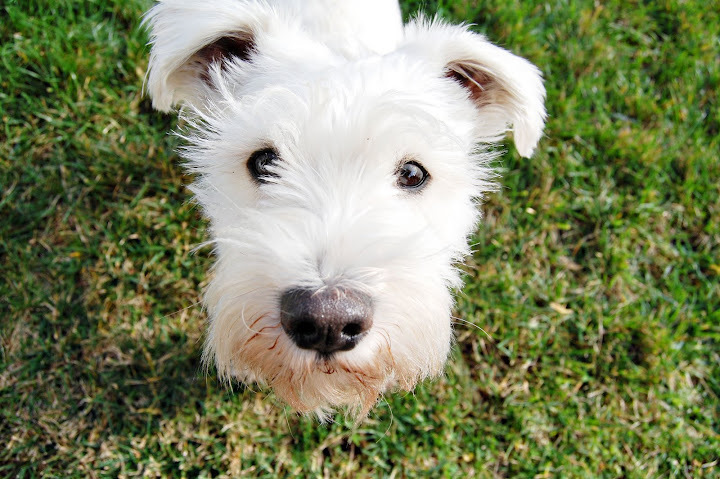 Adorable pics of your doggies! I’m jealous of your green grass and flowers, I wish we had some green grass right now! lol. OMG….I FREAKING LOVE IT!!!!!! Girl you are amazing and I am so scrappy happy that we are friends….I don’t know what I would do without our “nightly” chats! Chatty Cathys!!!!! Hugs!!! you definitely proved your dream wrong…those layouts are really great…i really love them both!! Anyway, what a strange dream was that and you remember it so well!!! Love your LO’s, they are both so happy and bright!!! Congrats on Maui, have a fun day and give him a big hug!!! I used to have recurring nightmares – maybe I will blog it sometime – but lately I dream about painting or scrapping – at least what I remember. Hope you get a better night’s sleep tonight – and you are truly one creative force: I always love your layouts! The problem I have with working with the pearls and swirls is that they don’t show up very well on certain kinds of patterned papers. 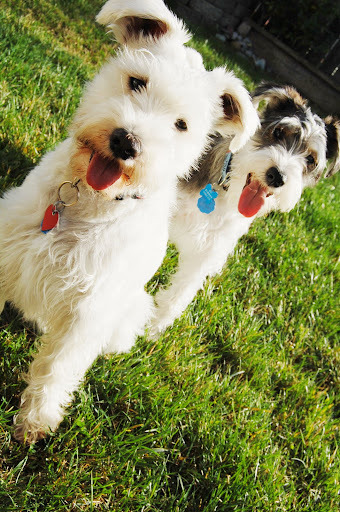 The puppers are so so cute, and they look so happy to be outside and playing. 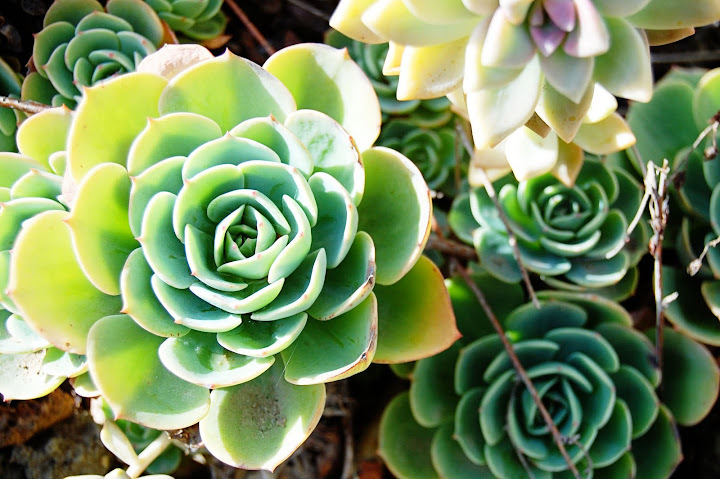 Love that photo of the succulent. Have a great day! 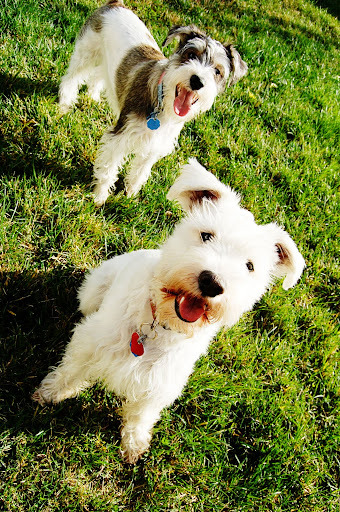 Thanks so much for stumbling upon my little blog and the kind comments about my dogs. Zoe is 12 and Brady is 5. 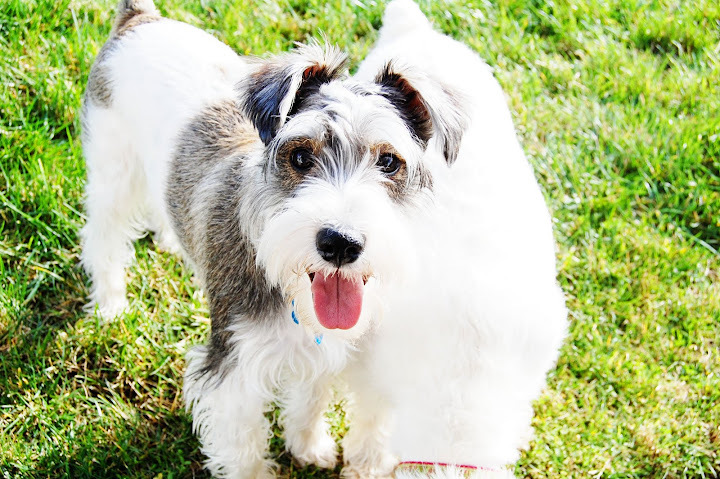 Your Schnauzers are so cute! Since I recently bought a Bind-It-All tool, I have been on the hunt for ideas and did see your cool video on the BIA blog. Love your blog! I’m CONSTANTLY having dreams where I’m back at high school or college and I can’t get my locker open or remember where it is or how to get to my classes or when they are. I actually had a dream like that the other night! So glad to have woken up and realized it wasn’t real! I think you definitely proved your dream wrong with those layouts! Okay that was a weird dream… don’t ya love’em though??? Love the the lo’s… they are just gor-ge-ous… my little Rainee went crazy over the dog one… then she went banana’s over all the cute doggie pic… she’s a doggie girl… I loved the pearl lo… beautiful!!! Thanks for sharing your dream, your lo’s and you fun doggie photos!!! have a lovely day. I think subconsciously you’re stressed about getting things completed on time. I’ve had dreams about college, too, & not being prepared. It’s a common dream. Now the recurring dream that I have MOST often probably requires a dream specialist because I do NOT know why I have this particular dream all the time. And I LOL’d about your wig dream. Adorable LO’s! Loving that LO you made for Katrina! So fun & colorful! Aw babe!! Sorry bout the dream… But u do tell it so comedically well! Yes u can Jack my writings from my blog. I am glad u liked them! wth…i thought i left a comment for you this morning… okay maybe i have been working for too long that the days just blend in with each other. bwech. looking forward to warmer weather. 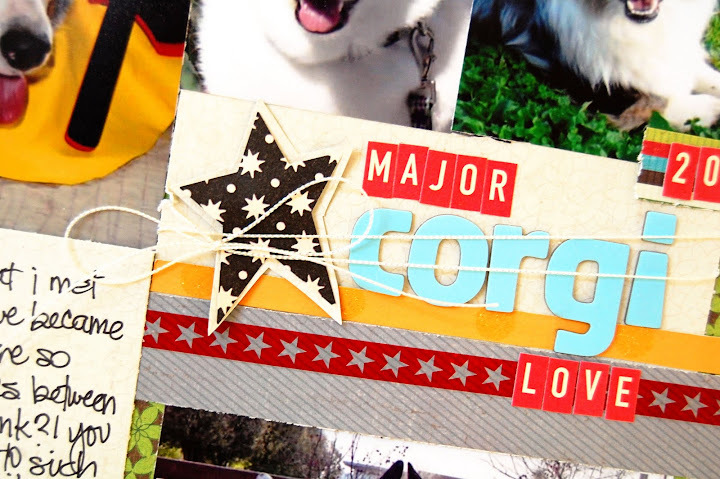 Love your Corgi layout! The other one rocks too… pearls and all! 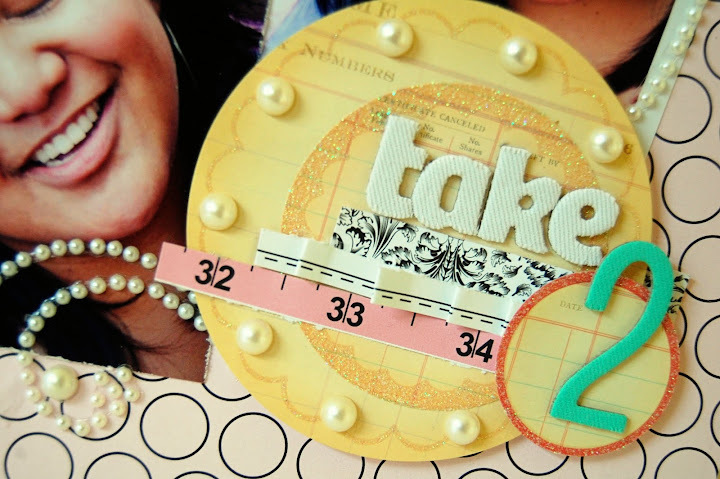 I love the 2 scrapbook pages you made! love the colours, and I’m completly in love with the doggie pictures! so cute! I am an Aggie too!! Those photos brought back memories, especially The Deathstar!